Introducing the Blockbuster Bundle, a collection of all 4 blockbuster packs in 1! The bundle features over 70 looks based on popular blockbuster films like hunger games, fast and the furious and more. The Blockbuster Bundle makes it super easy to get cinematic videos and photos every time! The Rocket Rooster Blockbuster III is one of the easiest ways to get that "Hollywood look." Choose from 13 looks based on some of the most recent blockbuster films with support for LOG shooters. The brand new Blockbuster II is a set of 20 easy to use looks based on popular Hollywood films. This is one of the quickest and easiest ways to get great cinematic looking images all the time. Based on Infrared photography, the Rocket Rooster Infra looks are a great way to get a unique stylistic look without all the hassle of shooting Infrared. The set features 16 great easy to use looks in .cube LUT files, great for use with both video and photo! The new Rocket Rooster Lumetri Looks, a set of 25 cinematic grades for Premiere Pro editors. This is a pack of quick and easy drag and drop presets and .Look files for Lumetri that get you a great base for you final grade. 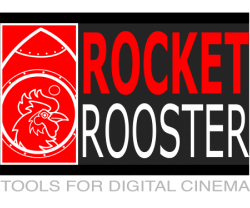 The Rocket Rooster Empire pack, a set of quick and easy alternative cinema looks. With over 30 looks to choose from, there's lots of options to get your footage looking cinematic, original and professional. Support for Log and Linear.